I flew back to Troy. No, it was more like floating, for it was a steady flight, no dipping or soaring. I had no wings, although my arms were extended, but they served to steer me, not propel me. I could feel the wind sliding between my fingers. I was lost in the wonder of being able to go to Troy, and so effortlessly. I could see the brilliant singing blue of the sea, passing over its sparkles and its white-foamed waves, over the islands that reared themselves like barren backs of beasts, shorn of their fur. They were brown, and their bones showed in the hills that were their spines. Where were the ones Paris and I had visited on our way to Troy, our stepping-stones? From so high above it was impossible to tell. A gull swooped near me, the wind from his flapping wings disturbing my flight. For an instant I felt myself falling, then I righted myself and floated serenely on. My gown ruffled out, wafting like smoke around me. Far below I could see ships. Whither were they bound? Whom did they carry? Impossible to know, or, really, to care. This was how the gods viewed us—as trifling amusements. Now I understood. At long last, I understood. The shore of Troy came up—so soon! I had only one concern, one burning drive: to behold Troy again. To enter its gates, to walk its streets, to touch the buildings, yes, even the buildings I had never cared for. Now they were all precious. I righted myself and set myself down gently just outside the south gate, the grandest one. When I had beheld it on my first entrance to Troy, its top seemed to reach the sky, but now that I had seen it from above, I knew it stopped far short of the clouds. Oddly, when my feet touched down upon the soil, they raised no dust. But I was dazed with the heady joy of knowing I was back at Troy. I could hear the birds in the meadow around me, could smell the drowsy scent of fields at noonday. To my right I saw herds of dun-colored horses grazing, the famous horses of the Trojan plain. All was peaceful and ordered. In the distance I could see a small stone farmhouse, with a tiled roof, in a grove of trees. I wanted to go there, knock on its door. But it was far away, and I turned back to Troy. Troy! The magic of Troy rose before my eyes, dancing against the blue of the sky. Its towers were the highest possible for man to build, its walls the strongest and the most beautiful, and inside it . . . ah, inside it lay all the glories of the world! Troy shimmered like a mirage, hovered teasingly, whispered its secrets, lured me toward it. I walked toward the gate. To my surprise, it was open. The thick, bronze-sheathed doors were gaping wide, and beyond them the path up to the citadel lay broad and beckoning. I passed through the usually guarded gate and did not ask myself why there were no guards, no soldiers. Once inside, I found it was quiet—no sound of groaning wagons, no laughter, no voices at all. I kept walking up toward the citadel, that cluster of palaces and temples crowning the top of Troy. I could see its glimmer in the distance, its white stone beckoning like a goddess. It was utterly deserted, and now I began to listen for the echoes in the empty houses as I passed. Where had the people gone? I was seeking the citadel, where all my people would be. Priam and Hecuba would be in their palace, Hector and Andromache in theirs, the many sons and daughters of Priam and Hecuba in their own quarters behind the royal palace—fifty sons and twelve daughters, each with his or her own home. And between the temple of Athena and the palace of Hector would be mine and Paris’s, standing high and proud. It was there. It was perfect, as perfect as Paris and I had first imagined it, long before a single stone had been laid. When we had lain together on our fragrant bed and amused ourselves imagining our perfect palace. Here it was. As it never was. The stones had not been exactly like this, no, we could not get the red ones from Phrygia and had had to substitute darker ones from Lesbos. Yet here were the red ones, mortared and in place. For an instant I was puzzled by this, and stood staring at it. No, it was not like this, except in our minds, I murmured, as if the stones would shimmer and rearrange themselves at my words. Yet they stubbornly remained as they were. I shrugged. No matter. I entered the palace and made my way across the wide megaron and then up the stairs into the most private of our quarters, the rooms where Paris and I withdrew when the business of the day at last closed and we could be alone. My footfalls echoed. Why was it so empty? It was as if a spell had seized it. Nothing stirred, no voice made itself heard. I stood at the threshold of the chamber. Paris must be in there. He was waiting for me. He had returned from the fields, from exercising the wilder horses as he loved to do, and would now be taking a cup of wine and rubbing a bruise or two from today’s work. He would look up and say, Helen, the white horse I told you about . . .
Resolutely I pushed the doors open. The chamber was dreadfully quiet. It also looked dark. I walked in, the whispering of my gown around my feet the loudest noise. “Paris?” I said—the first word I had spoken. In stories, people are turned to stone. But here they had vanished. I turned and turned, seeking someone in the rooms, but there was nothing. The shell of Troy remained, her palaces and walls and streets, but she had been stripped of what truly made her great—her people. And Paris . . . where are you, Paris? If you are not here, in our home, where are you? I saw sunlight and was thankful that someone had thrown the shutters open. Now Troy could begin to live again; now sunshine would flood her. The streets would fill with people again and spring back into life. It was not gone, merely sleeping. Now it could awaken. Still I clung to Troy, standing in the bedroom of my palace. Paris would be there now. Surely so! He would come! Menelaus! I opened my eyes and gazed about me wildly. This room—it was not my room in Troy. O the gods! I was in Sparta, and Menelaus was dead. My Spartan husband Menelaus was dead. Trojan Paris was not there. He had not been there for thirty-odd years. Troy was gone. I could not even call it a smoking ruin, for its smoke had long disappeared into the sky. Troy was so dead even its ashes had been scattered. It had all been a dream, my visit to Troy. Even what had remained in the kindly dream—the walls, the towers, the streets, and the buildings—was gone. There was nothing left. I wept. “Of course not. Please select my garments.” There, that would get rid of her. I pressed my fingers to my temples. Menelaus dead. Yes. That was as it was. His confession to me, his plea—it was all one. I forgave him. It was so long ago. And Paris: People yet unborn will make songs of us, I had told him. What a young fool I had been. He had vanished. He was nowhere in my dream—and I knew it, now, for a dream. Paris and I were no more. No matter. The dream had shown me the way. I would return to Troy after the funeral, after things were set right in Sparta. I must see it again, empty and ruined though it might be. It was where I had lived, most fully lived, where Helen truly took form as Helen, became Helen of Troy. In life I had soared, if only for a brief time: in that the dream spoke true. 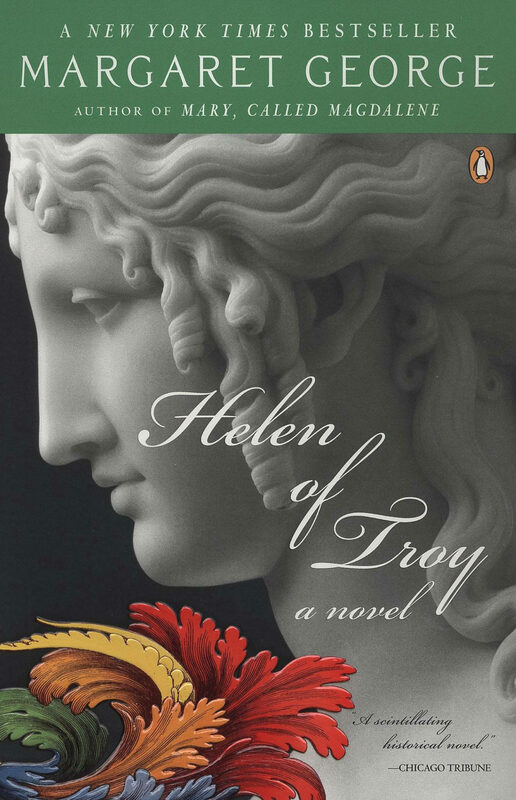 Once there was a Helen and she had lived most fully in Troy. Make of that what you will. In my time I called forth hatred, war, and death. I was said to be the woman with a wreath of bronze swords framing her face rather than flowers. Yet that was never my doing, never my intention. I lay that guilt at the feet of the men who pursued me. I speak of Helen as if you knew. But who is Helen? Listen, and I shall tell you. Hold your breath, and you will hear her speak.